Stop it, stop thinking about the pink elephant. See? 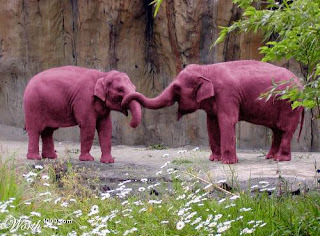 It's impossibile to stop thinking about a pink elephant. Same thing with babies. Every little symptom I'm having, I automatically jump to pink elephant. It could be a little gas = pink elephant. A group of zits = pink elephant. Baby ads on TV = pink elephant.